Blog hops are a great way to gain new followers! 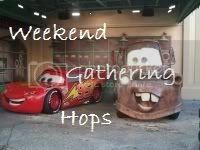 This hop follows in EVERY way! "Stalk Me" and I will return the favor! *Grab the Badge to put in your post, help make this hop big!! Then Link-Up 6 ways! Follow me in every way you choose, let me know you did via comment and I'll return the favor! "Stalk Me" there as well! Again I will return the favor with my separate profiles for Novel Bloggers! Click below to Vote for my blog (no sign-up required)! 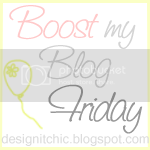 More Friday Follow Blog Hop Fun! I linked up :) I am also following you! Already a follower! :) Like FBpage too!! Thanks! Linked up. If you’re ever interested in a blog makeover please let me know. Take a look at my portfolio and packages when you get a chance. Have a Sweet Week! Aargh! Each linky stays auto-filled and it looked like my information didn't enter. I went back through and hit enter on them, then realized everything DID go through the first time. Sooo dumb! LOL! Feel free to delete the extras, if you want/need to. 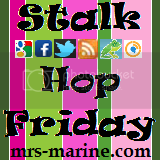 Hello, I'm stopping by to show some love and follow your blog hop again. Stopping by from Friendly Firday. Congrats on being featured. I am a new follower and joined your hop too!! Today I’ve put up two posts: the first contains pictures for “Wordless Wednesday”, and the second contains some information about information being collected on us by our cellphone companies. It might just make you uncomfortable: I know it bothers me. Thanks for hosting! Already a GFC follower from awhile ago. Now following you on twitter! Happy Friday! Thanks for following Money Savvy Mama, now following this blog too! Hi! Following you YLM blog hop! Hop...hop...hopping by from YLM blog hop :) have a nice day! 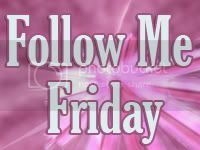 I am a new follower from the weekend blog hop. I found you via another hop. Love the name of your site! I will join this hop as soon as I have a chance. A Brand new community for moms. 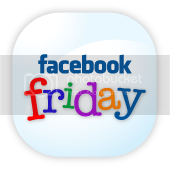 Thanks for linking up at Fancy Friday! I have added my links to the blog, facebook and twitter. Also, I love the colorful background on your site! I'm following your blog now and I'd love if you followed back as well!